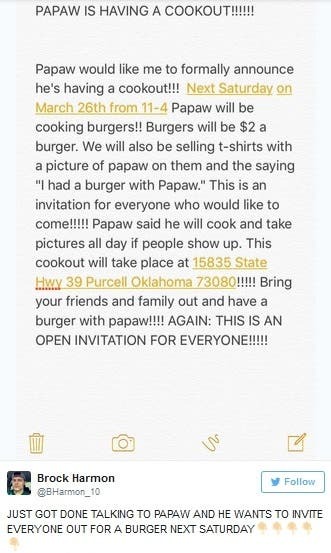 Sad Viral Tweet Gets Happy Ending: Papaw is Having a Cookout and Everyone’s Invited! The tweet garnered over a 170,000 plus retweets and over 200,000 likes in days because #sad okay? And the internet empathizes. In this day and age, it’s so easy for children—and grandchildren, for that matter—to get caught up in their own busy lives, often forgetting to connect with family members or, in this case, to simply show up. But don’t worry papaw, the internet loves you! 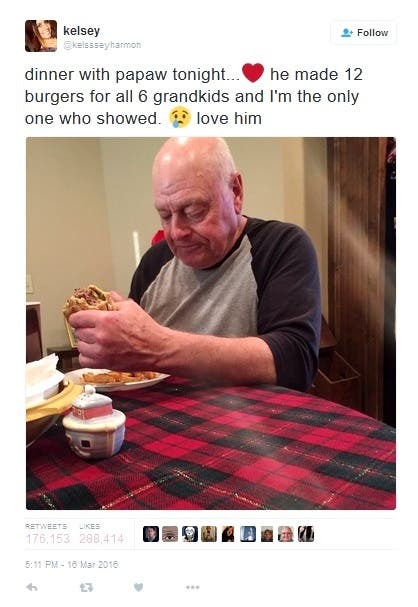 Heartwarming comments and messages poured for this sweet grandpa, that now, he wants to host a cook-out! And EVERYONE is invited! Nice to see this story have a happy ending. 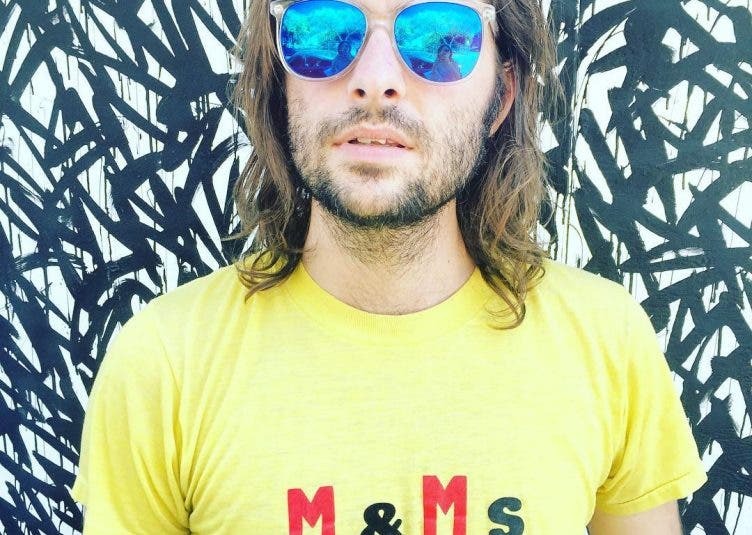 Such a great story about family, and the power of social media.